Vicki: I knew when the bad guy got away at the end of Must Love Horses that we hadn't seen the last of him. A guy like him just doesn't go away. As far as the Hero and Heroine go, I couldn't leave Jenna and Quinn without their own HEA, but I knew they would have to work for it. Rad-Reader: Can you give us some backstory on Jenna and Quin that the blurb/synopsis doesn’t give us? Vicki: Like all young loves, they thought that love would always be enough. For them both, it was a hard lesson to learn that wasn't true. Rad-Reader: How did Jenna and Quinn come to meet one another? Vicki: Quinn lived in the same small town and worked as a hand on the Lazy S Ranch at the end of high school and right after. Rad-Reader: Why is Mac so dear to Quinn to the point of giving her grandfather’s Harley to him? Vicki: She sees so much of herself in him. She understood his calling to the service as well as his need to leave and find himself. Also, her ability to give him the bike proved to herself she'd found where she belonged. Rad-Reader: Why doesn’t Quinn talk to his parents? Vicki: His father blames Mac, his mentor, on his leaving Wyoming and his life behind, causing a rift. Also, Deep down his father, a proud, hard-working man, is very hurt that Quinn doesn't want to follow in his footsteps. His father feels that being a ranch hand is loyal, honest work and feels that if it was good enough for him, it should be good enough for Quinn. Quinn's strained relationship with his father has, in turn, made it difficult to remain close to his mother. Rad-Reader: Were Quinn and Jenna high school sweethearts? Vicki: She was in her senior year of high school. He had graduated the year before. Rad-Reader: Jenna and her dad don’t see eye to eye why is that? 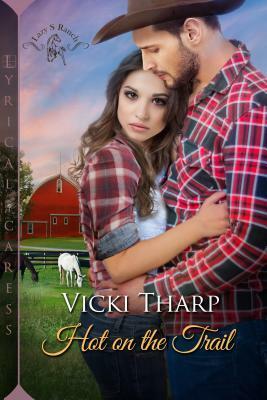 Vicki: Their relationship is on the mend, however after her mother had abandoned her and her father when she was very young, when she started school, her father left her with her grandparents while he followed the rodeo circuit, only adding to her feelings of abandonment. Rad-Reader: How did Jenna come to want to help the Veterans? How did Boomer come into the mix on the ranch? Vicki: When Mac arrived at the ranch, broken, and running from her past, Jenna saw how the ranch, the open spaces, the hard work, and the horses could help heal, and she wanted to bring that to other veterans who needed help. Boomer had been a Marine buddy of Mac's called in Cowgirl, Unexpectedly when trouble came to the ranch and they needed someone they could trust. Rad-Reader: How long were Jenna and Quinn dating before he asked her to marry him and then cutting all ties when she said no? Vicki: They had been dating for several years by that time. A lot of it long distance. Having already put in for a transfer, he was a few days from shipping out to his new assignment so he couldn't hang around after the rejection. Not that I think he would have if he'd had the opportunity. Rad-Reader: Did he cut ties with everyone else or just Jenna? Vicki: He cut ties with every one of the Lazy S.
Rad-Reader: Has anyone actually seen El Verdugo or just his men? Vicki: Yes. Sidney and Boomer had more interaction with El Verdugo in Must Love Horses than they ever wanted. Rad-Reader: Hank doesn’t seem to like Quinn but Mac likes him. Why such different opinions? Vicki: Part of Hank's problem with Quinn is that Hank still sees him as the punk, cocky kid who will never be good enough for his daughter, and despite the fact Jenna felt she had to turn Quinn's proposal down, Quinn also broke Jenna's heart. Mac not only sees a kindred spirit. Rad-Reader: Mac seems to not be feeling well? When she figures out she pregnant she says she is worried about Hank’s age of forty-two. How old is Mac? Rad-Reader: How did Mac and Hank meet? How long have they been married? Vicki: They met outside of the diner, while Mac was on her year-long motorcycle ride throughout the US. Rad-Reader: Why is it that Quinn’s parents blame the Lazy ‘S’ Ranch for Quinn wanting to join the Marines? Vicki: Because it was through Mac and Boomer's influence that his world expanded and saw another future for himself beside working as a hand on a ranch his whole life the way his father had. Rad-Reader: Moose seemed to feel some sense of honor to Quinn and Jenna but his words are cryptic, yes? You can see it all after you read it. Rad-Reader: Jenna seemed to kick-up drama like a damsel. Is that how you wanted her to be viewed? Because she at first would start out solid with backbone then crumble. Or is that because she wasn’t off the ranch that often? Vicki: Yes. Like real life, I think all of us have the capacity to rise up to certain circumstances and crumble under others. Rad-Reader: Do you think that comes from that ah-ha moment in the bathroom with Mac when she realizes she’s not that little girl that got left by her mama, her dad to do rodeos, or a boyfriend to become a flyboy? Vicki: Everyone's perception of the world and their reality is skewed by their life experiences, which can affect them to varying degrees, good or bad. This is their truth. Sometimes it isn't always easy to recognize when you're wrong until you are hit over the head with that ah-ha moment. Rad-Reader: What crawled up Finn’s behind? Or does he just have the hots for Soto and can’t express it? Vicki: What's a seemingly straight-laced, by-the-book, FBI agent to do when a DEA agent on his task force blasts through the doors and takes his heart hostage? You're all going to have to wait a bit to find out. Rad-Reader: Something told me you were going to say something like that. Dang! Rad-Reader: Please tell us there is a book in the wings for Soto and Finn? Vicki: Yes! I can't wait to be able to write it either! Vicki: Jason Mamoa. All day, every day. :) Loved your choices. Not sure I could have chosen better. When Jenna has to call Quinn back to the Lazy ‘S’ Ranch because of his friend’s death. The memories flood back to the bath. When their dreams conflict and communications break down. Jenna was used to being the one left behind. Now Quinn’s back. Quinn is on a mission to find out what happened to the only member left from the crew that crash with him on his Helo. Not to have him come home and die of what he thinks is a staged O.D. Working to find the truth they must trust each other to stay safe. Bringing all the past dreams and wants back. Do they stay in the present or move on? Jenna wants this to be more than it is. But they can’t seem to communicate a way to see it through. Quinn knows how he feels but she stomped on his heart before and he is not sure he wants to go there again. He needs to get back in the air and that is what is important to him first and foremost. Vicki: Um...wow. You are really good at this. I tip my hat to you. Rad-Reader: Music is my thing. I feel it to my bones. It’s like I hear certain songs while I’m reading books. Crazy I know. Vicki: I've always enjoyed writing in school, but besides a screenplay, I wrote for an episode of Starsky and Hutch back in the day as a starry-eyed middle schooler. (News flash—they never made it into an episode.) 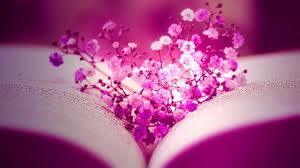 I never really thought about writing a book, even though I was and am a voracious reader. When I quit veterinary medicine after ten years to stay home with my young kids, I read a book that the whole way through I was rewriting it in my head. That had never happened to me before. It was an NYT bestselling author. I really don't remember who. But I said to myself, I could write a book better than that. So, I've been trying to ever since. Rad-Reader: Where would you like to take your writing careers direction as far as genres? Vicki: So. Many. To. Choose. I enjoy romance, and wouldn't mind exploring other subgenres such as Sports, Sci-Fi, and maybe near future. I also wouldn't mind trying a straight thriller, and I have an idea I've been floating around for a middle-grade duet. I think no matter the genre, I will always have a need to add a little romance and a little suspense. It's just how I'm wired. Rad-Reader: What do your friends think of your success? Did they know you were a writer? 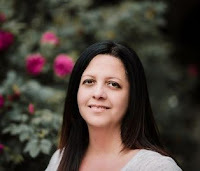 Vicki: My friends, especially from back when I was practicing veterinary medicine, were a little surprised to find out that I wrote, but they have all been amazingly supportive. You made this such an easy interview to do. The book was a breeze to read because the couple was such a couple that bantered with a passion that I didn't want to put it down. But the suspense kept me wanting to keep turning the page. Who was going to come in and who was going to turn you on your ear. This was filled with crime, mystery, disappointment, pain, joy, and intrigue but most of all love. Come back when your next book drops so we can add it to Shout Out: An Author's Place page.